Yesterday an OS Deployment friend (you know who you are…) asked around for a way to install .NET Framework 4.5.1 as a part of the reference image creation and I told him I would post it today, so here it is. The reason I do this with VB script wrappers (not only me, most of the people I know and works with OSD does that) is logging and full control, but also the fact that I have a bunch of VBscripts that are very similar and the fact that MDT has a very nice module called ZTIUtility that connects external scripts built in functions make this a very easy choice. Note: For Windows 8/8.1 (Server 2012/2012 R2) I always add .NET 2/3 as Roles BEFORE adding 4.5.1, just to make sure nothing is messed up. 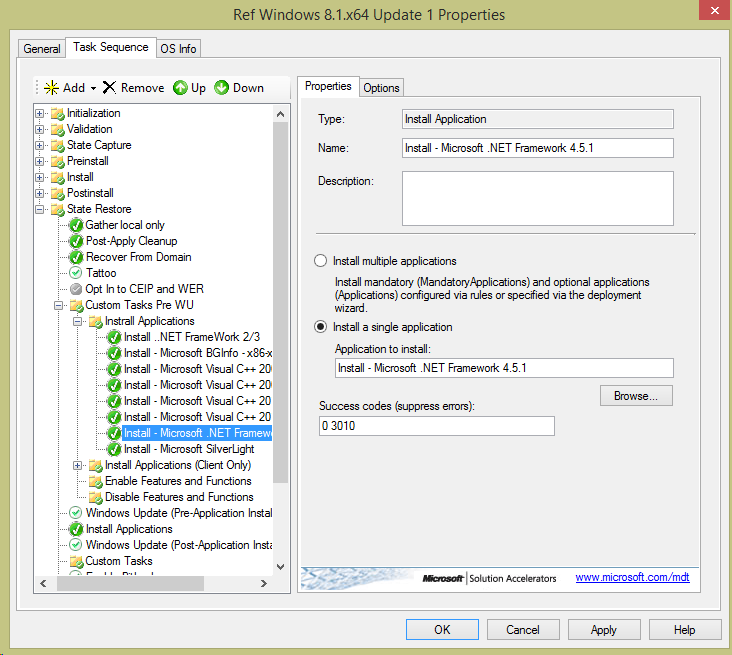 No, you can add .net 2 and 3 to a Windows 8 and 8.1 as well as server 2012 and r2 but not 4.5.1 or 4.5.2. 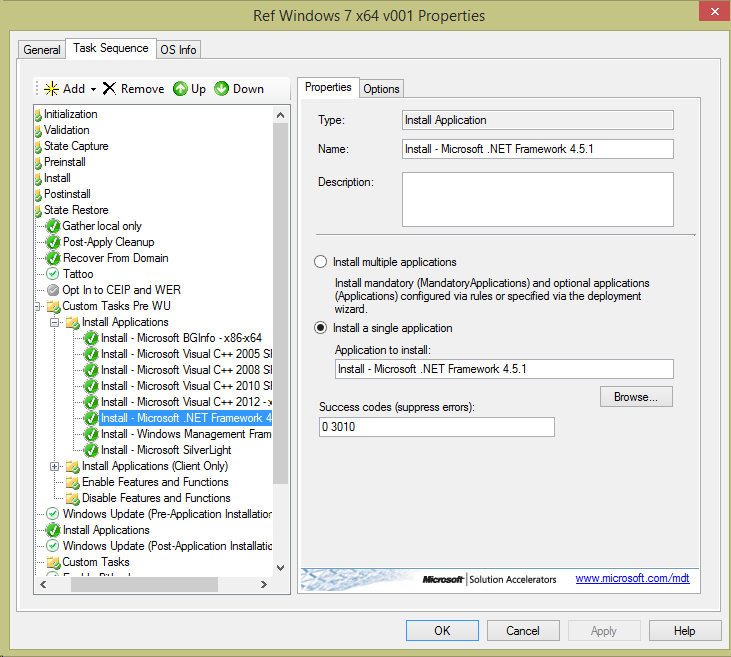 .net framework can also be installed as an role in the task sequence? Why using this method? The installer from the website…is this also valid for windows 8.1 ?